Vanessa Bell Calloway donned a fierce leather mini dress at the 6th Annual Diamond In The RAW -Action Icon Awards in Los Angeles, California. Vanessa Bell Calloway showed of her fit physique at the 7th annual ESSENCE Black Women In Hollywood luncheon in Beverly Hills, California. 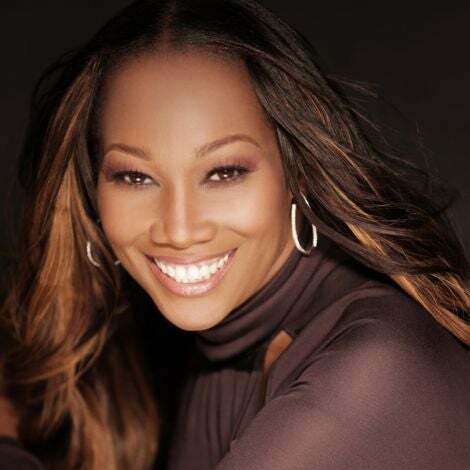 Vanessa Bell Calloway sure knows how to rock a bodycon dress and looks great doing it! Vanessa Bell Calloway rocked a flirty floral dress at the 8th Annual ESSENCE Black Women In Hollywood Luncheon in Beverly Hills, California. Vanessa Bell Calloway rocked a fun and flirty LBD at the All Def Movie Awards in Hollywood, California. 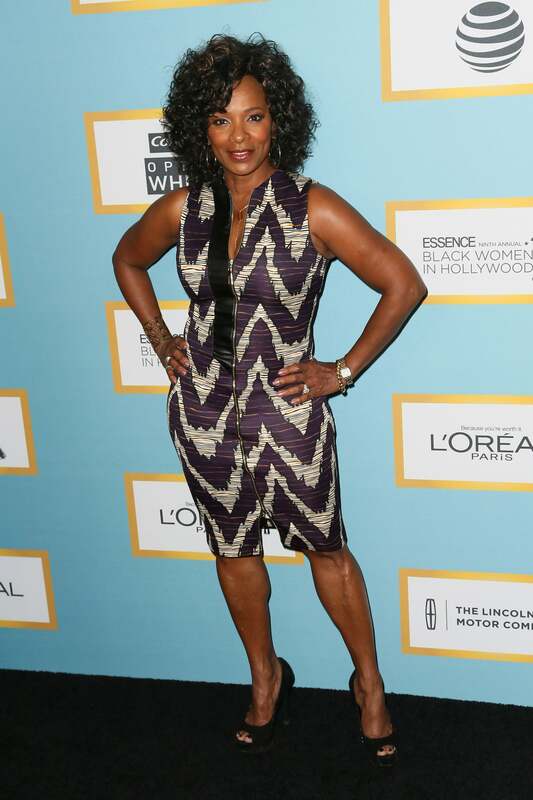 Vanessa Bell Calloway's rocked a super cute printed dress at the Essence 9th Annual Black Women event in Beverly Hills, California. Vanessa Calloway stunned a shimmery champagne dress at the African American Film Critics Association Oscar viewing party in Los Angeles, California. 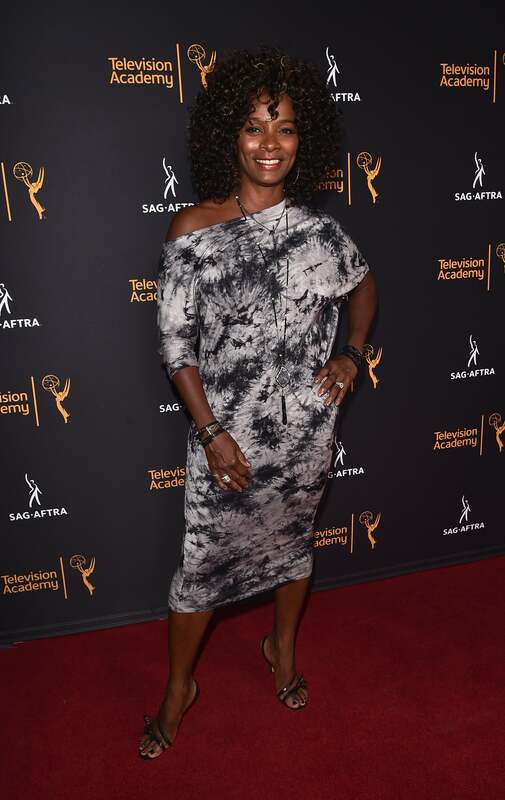 Vanessa Calloway rocked a plyayful off the shoulder dress at the Television Academy And SAG-AFTRA's 4th Annual Dynamic and Diverse Celebration in North Hollywood, California. Vanessa Bell Calloway looked super chic in a classic LBD at the BMI Trailblazers of Gospel Honors in Atlanta, Georgia. Vanessa Bell Calloway looks stunning while showing some serious leg during the 25th Annual Trumpet Awards in Atlanta, Georgia. Vanessa Calloway slayed in an edgy leather fringe dress at the Essence 10th Annual Black Women in Hollywood Awards Gala in Beverly Hills, California. Vanessa Bell Calloway looks fierce as she celebrates her 60th birthday in Los Angeles, California.